Work's good, I Like, Thank you. Provides a nice clean look and a relatively large hole for your cables. 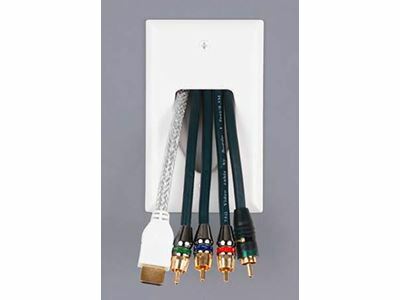 Can be installed with scoop up or down depending on the desired direction of cabling. Remember, you need a Low Voltage Single Gang Cut-In Bracket for this to attach to.